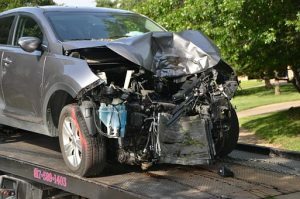 On June 10, the Worcester Police Department received a call about a motor vehicle injury accident. Initial reports indicate that the accident involved two vehicles. This incident was reported to police at approximately 1 in the afternoon and occurred on the 100 block of William Street. Fire and police crews were sent to the area upon hearing news of the accident. First responders were dispatched to the scene, and, upon arrival, they found that some of the individuals involved had been injured in the accident. Medical care was administered to this individual by EMTs. The extent of the injuries is still under review, and no fatalities were reported. The scene was cleared and the flow of traffic resumed. A car accident can happen when we are not expecting and take us off guard. The impacts of some of the accidents are no light matter. We must all do our part to remain vigilant and follow traffic laws always. While accidents cannot be completely stopped, we must all do what we can to reduce the risk of an accident occurring. When victims are injured in these accidents, their lives can be changed for years to come. This inherent risk is why we all must do our part to keep ourselves and others safe while on the roads. Fortunately, there were no fatalities reported in this accident, but this is not always the case. There are some accidents that are lethal, and this inherent risk should remind all drivers to remain vigilant whenever they get behind the wheel. Reckless driving can have severe consequences and leave victims dealing with traumatic injuries that harm their lives. Victims who sustain injured can seek assistance to heal and return to their lives. At the Law Offices of Jeffrey S. Glassman, we are highly aware that accidents can cause traumatic injuries to victims. As members of the community, we are committed to raising awareness about the potential consequences of car accidents. We know that accidents do happen to even the most cautious drivers, so we are also passionate about helping victims get the assistance they need to heal.